The Carver’s Cave overlook at the western end of Indian Mounds Park is known for its vista and is one of the most photographed river scenes in the metro area. 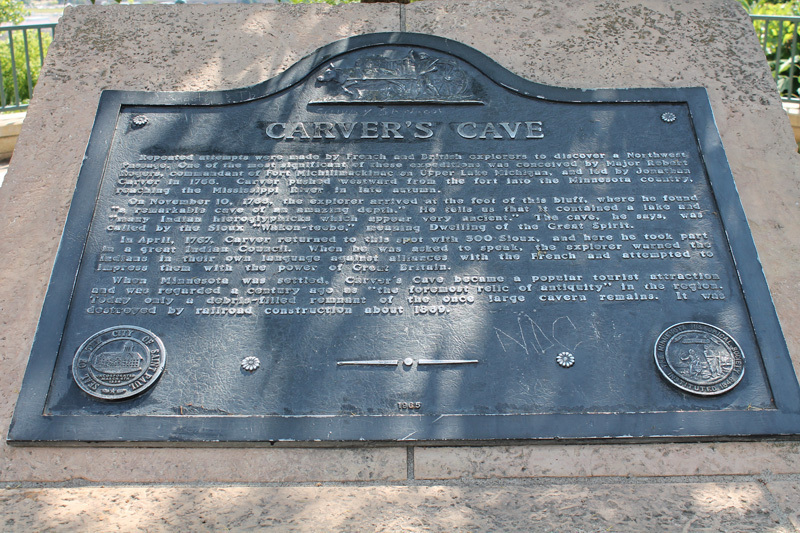 The overlook was rebuilt in 1995-96, including some low decorative walls, ornamental lights and a central limestone structure with an interpretive plaque explaining the history of the famous cavern located on the river flats below. There is also a drinking fountain, so if it’s a hot day, you may want to fill your water bottles. The Friends of the Mississippi River (FMR) has been working in the surrounding landscape since 2011 with Saint Paul Parks and Recreation Department and community volunteers to remove invasive species and restore the native bluff prairie on the west side of this historic park's overlook. Scores of people have hauled and stacked invasive brush, including European buckthorn, on the overlook slope. 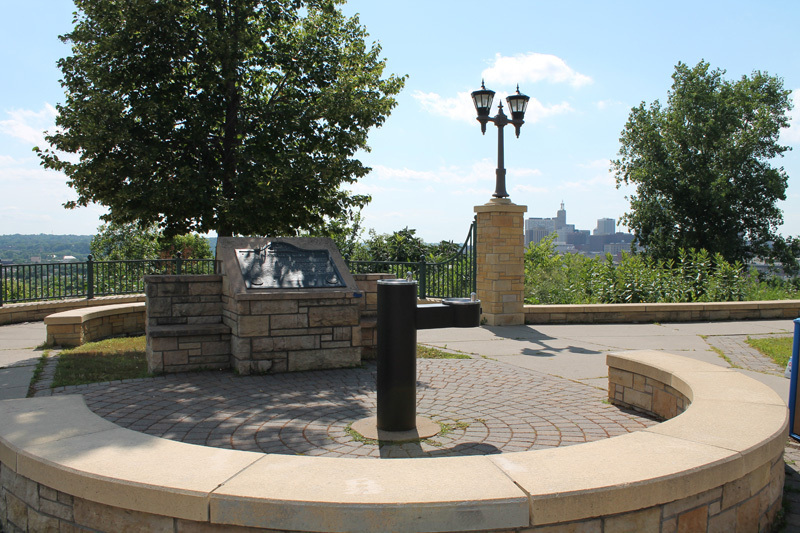 They also weed and tend native shrubs planted on the west side of the overlook. 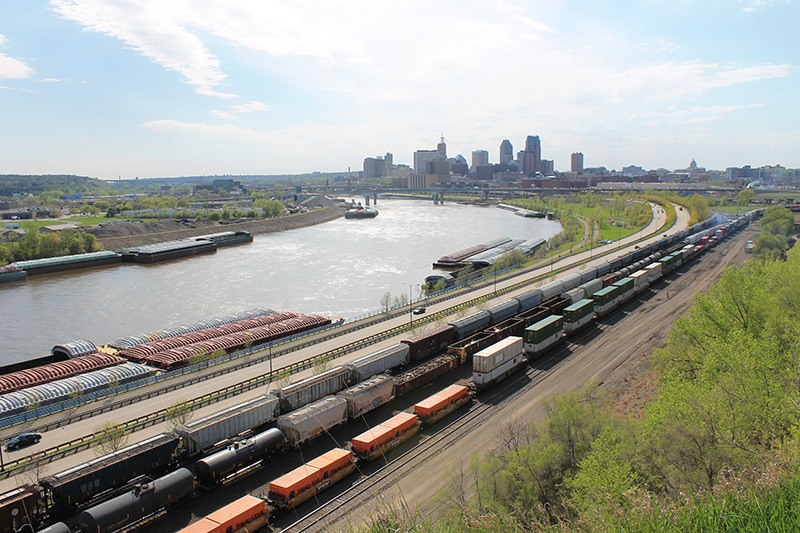 Steve Trimble, “Carver's Cave Overlook,” Saint Paul Historical, accessed April 19, 2019, https://saintpaulhistorical.com/items/show/25.